Colour & B&W ws sts have to practise Likes and dislikes ( I like/ I don't like... 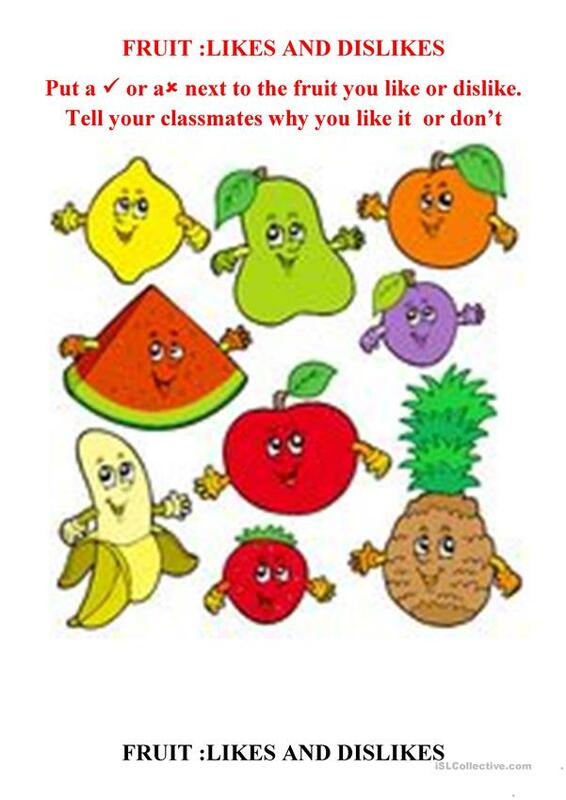 They can describe the fuit they can see too. 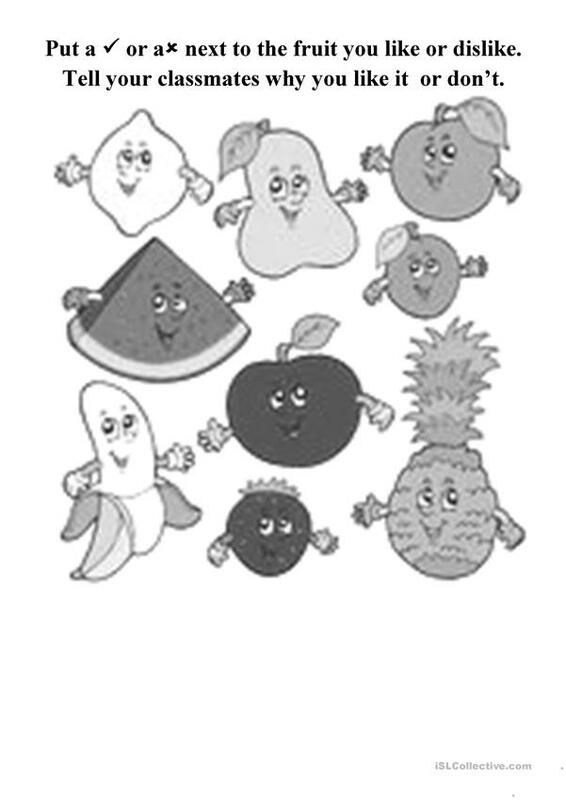 They can also draw their favourtie fruit if it isn't in the picture. The present downloadable teaching material is intended for elementary school students, kindergartners and nursery school students and students with special educational needs, learning difficulties, e.g. dyslexia at Beginner (pre-A1) and Elementary (A1) level. It is great for revising Present simple tense in English, and is a valuable material for honing your students' Speaking and Writing skills. It centers around the vocabulary topic of Food.